For almost half a century, more jazz was made in Montreal than anywhere else in Canada. Here are the lives, the music, and the concerns of the musicians who made the city swingamong them Myron Sutton, Willy Girard, Johnny Holmes, Oscar Peterson, Louis Metcalf, Steep Wade, Maury Kaye, and René Thomas. 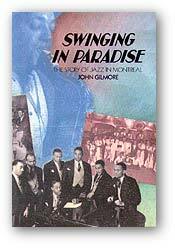 Here too is the story of Montreal after dark, from the silent movies, vaudeville theatres and dance pavilions to the nightclubs with names like the Montmartre, the Chez Paree, the St. Michel, and Paradise.Who's Who of Jazz in Montreal is a companion to the widely-acclaimed Swinging in Paradise: The Story of Jazz in Montreal. John Gilmore is a Montreal journalist.